Clearly, the best fix for the world financial system would be to remove that subsidy – to do away with the whole concept of “too big to fail”. Given, however, that the system exists, Mr Volcker argued that the risk-taking behaviour of those banks should be sharply curtailed. Specifically, he wanted a ban on proprietary trading by commercial banks – that is, no speculative trading except on behalf of customers. 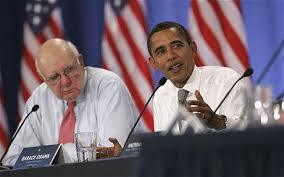 Ousted by Obama for not being a "yes-man"
Mr Volcker didn’t expect his measure would remove government subsidy from the banking system, but he hoped that it would smartly reduce the odds of calamity. Personally, I believe he’s wrong. I think the financial system will never be worthy of trust while any institution is too big to fail. Heads I win, tails you bail me out: that’s not capitalism, it’s extortion. But let’s go with Mr Volcker. Let’s agree that his rule at least makes sense while the other stuff – the part that really matters – is being sorted out. “No proprietary trading by commercial banks” – a simple enough principle, you’d think. Mr Volcker himself reckoned his principle could be adequately summarised in just four pages of legislation. Four pages, plus a tough regulator who would beat up on any wrong-doers. But if Mr Volcker thought the good men and women of Congress would be able to pass a law of just four pages, he was deeply mistaken. Goldman Sachs, JP Morgan, Bank of America and others weighed in with their concerns at the proposed measure. The draft rule was redrafted. And redrafted. And redrafted. That process is now complete. And the same rule that I’ve summarised in six words and Mr Volcker wanted to contain in a four-page document has swollen to 963 pages, including almost 3,000 footnotes and 1,367 questions. Those 963 pages are to be read in conjunction with the 848 pages of the Frank-Dodd Act, a bill passed to overhaul financial regulation. Frank: "Fannie & Freddie do not have solvency issues"
Oh, and the Frank-Dodd Act itself mandated a process of additional rule-making: a process which is now 40 per cent complete and which has so far generated 14,000 pages of new rules. For comparison, the Depression-era Glass-Steagall Act ran to just 37 pages. Now I’m hardly sympathetic to big financial institutions: I think they need to be dismantled and rebuilt from the ground up. But I do share what must be the disbelief of those banks’ compliance departments. On top of all the regulation and case-law that already existed, they now have to handle more than 14,000 pages (and growing) of new legislation and rule-making. If a trader calls up and asks if he can make a particular trade, what the heck do you say? And how long will it take you to say it? And who knows what inconsistencies and opacities lurk within those pages? No doubt situations will arise when one part of the law is telling a bank to do one thing, while another unrelated part is saying something quite else. The rule, in short, is a total mess. That, in itself, is no surprise. There is nothing about our financial system that isn’t a bodge job, a horrendously expensive pig’s breakfast that fattens only bankers and lawyers. But the tale is a wonderfully telling illustration of the way that big finance has successfully corrupted democracy itself. Mr Volcker’s rule was a good one. President Barack Obama listened and approved. At the top level of government, the right things were happening in the right way and at the right speed. But banks and lawyers heaved in with their objections. (Indeed, the leading US law firms, many of whom bill their preferred banking clients at more than $1,000 an hour per partner, are so heavily dependent on the financial industry for revenues that it hardly makes sense to distinguish between the two things. The law firms, in effect, have become an integral cog the finance industry.) As these objections took root, and as a vastly well-funded lobbying campaign blossomed, the rule grew and became ever more confused. What’s more (and worse), that lobbying was knocking at a door already more than half open. To pick simply the most egregious example, Goldman Sachs alumni have recently acted as US Secretary of the Treasury (twice: Robert Rubin and Henry Paulson) and currently hold the senior positions at the ECB (Mario Draghi), the Bank of England (Mark Carney) and the New York Fed (William Dudley). I’ve no doubt that those individuals have done their honest best – but their views and their loyalties have been shaped in the canyons of Wall Street. And for all that, the Volcker rule is a total mess. The sad fact is that the financial industry wanted it that way. Sure, they’d have preferred no rule at all, but the current mess is an excellent second best. For one thing, smaller institutions simply won’t be able to afford the compliance costs implied by this recent law-making. The laws actually feed Too Big To Fail – they make it worse. And then too the rule, though ineffective, provides camouflage. Big finance can claim it’s cleaned up its act, when no such thing has happened. Law firms swallowed by the banks. Lawmakers overrun by lobbyists. The executive branch infiltrated by Wall Streeters in the most senior positions. All that, plus a law that nobody understands. It couldn’t get worse, could it? Well, actually, it could. There will, for sure, be prosecutions under the rule. Big firms will be sued for non-compliance by regulators, with vast damages at stake. But these cases won’t go to court. They never do. Instead of a proper judicial examination, these cases invariably end up being settled behind closed doors. 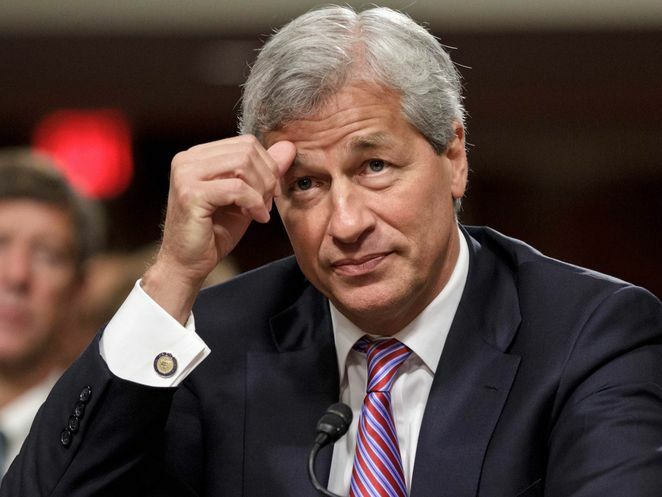 A few weeks before Christmas last year, JP Morgan agreed to a record $13bn settlement with US regulators for misrepresenting the public in the course of the financial crisis. In a statement, the bank acknowledged certain misrepresentations but stated that it had not broken any US laws. Huh? If it didn’t break the law, why did it pay out $13bn? If it did break the law, why did the case not come to trial and why were culpable individuals not indicted or, at the very least, forced to leave the industry for ever? There will be “settlements”. The sad truth is that the law doesn’t operate properly because it can’t. The US Attorney General, Eric Holder, in testimony before Congress, reported that some banks had simply become too big to prosecute. “If you do prosecute, if you do bring a criminal charge, it will have a negative impact on the national economy, perhaps even the world economy,” he said. “And I think that is a function of the fact that some of these institutions have become too large.” Too large to prosecute? Or too large to exist? The attempt to re-regulate the banks has failed so comprehensively that even the regulators have become swallowed in the morass. And the worst thing of all? Somewhere in that morass, the seeds of our next financial crisis are sprouting. 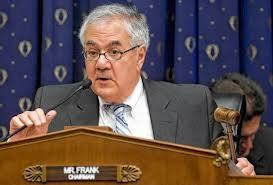 The chance that the Volcker rule will stop them? None whatsoever.